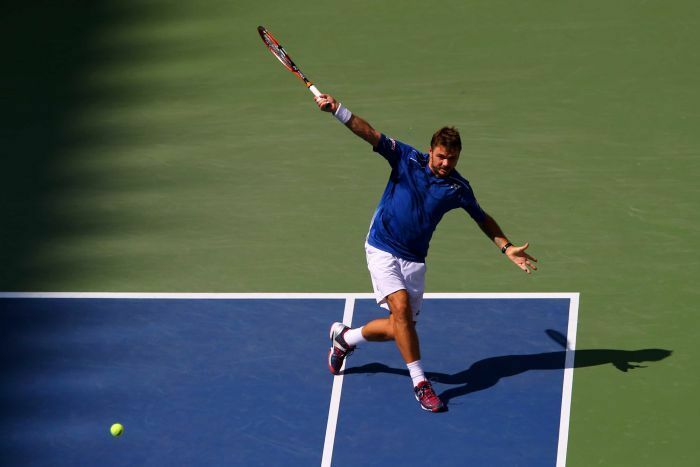 French Open champion Stan Wawrinka has defeated US comeback king Donald Young 6-4, 1-6, 6-3, 6-4 to reach the US Open quarter-finals. Swiss fifth seed Wawrinka will next face the winner of a later match between British third seed Murray and South African 15th seed Kevin Anderson. Wawrinka dropped his first set of the tournament but made an eighth quarter-final in his past nine major appearance, denying 68th-ranked Young his first trip to a Slam quarter-final. as world number one Novak Djokovic took another step closer to a 10th Grand Slam title. on Monday with a 6-3, 6-4 win over Varvara Lepchenko of the United States. Former world number one Azarenka, the 20th seed, will face either Romanian second seed Simona Halep after the Romanian saw off the challenge of Sabine Lisicki. The Belarusian, whose season has been stalled by a left thigh strain, appeared on Arthur Ashe Stadium with both biceps tightly strapped. Lepchenko, who was bidding to become the first American woman not called Williams to make the last-eight since 2009, was broken in the third and ninth games of the opening set. She rallied to edge ahead in the first game of the second but handed the break straight back to the 26-year-old Azarenka. The Belarus star carved another break for 5-3 before faltering when she served for the match. But she secured victory in the next game on her first match point when left-handed Lepchenko went wide. "I felt at 5-3 that I never went for my shots, she didn't give me much rhythm," she said. "But I told myself to be aggressive and go for it." Second seed Halep overcame a thigh injury and 30-degree heat to reach her first US Open quarter-final. Halep needed 2 hours, 38 minutes on Tuesday (AEST), as well as a 10-minute heat break, to down German 24th seed Sabine Lisicki 6-7 (6/8), 7-5, 6-2.